As far as Christmas music goes, I prefer traditional. The old stuff is the good stuff as far as I’m concerned. My favorite carols are “O Holy Night“, “Carol of the Bells” and “O Come Emmanuel“. 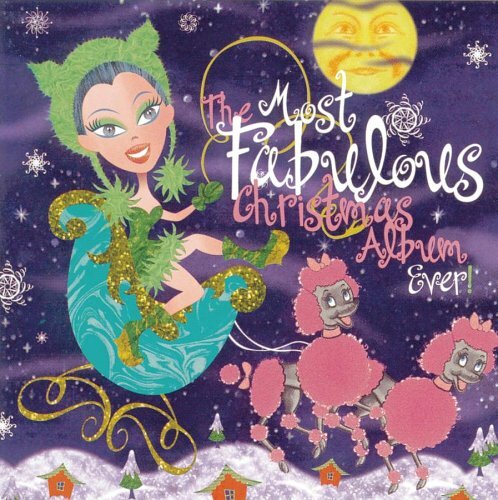 However, if I’m in the mood for something Christmasy and a little more fun, I pull out “The Most Fabulous Christmas Album Ever”. It meets my criteria of being old but it isn’t your typical Christmas music either. It’s basically a 40’s big band Christmas album. There are traditional favorites like “Winter Wonderland” and “White Christmas” and then some not so traditional songs like “Santa Claus Came in the Spring” and “Parade of the Wooden Soldiers“. Even the “traditional” songs on the album have some changes to the lyrics in some cases, which makes it fun to listen to as well. If you have a favorite Christmas album to share, let’s hear from you! A month or so ago I asked my husband if he would mind if once a week I made a recipe out of a whole foods cookbook I had acquired a year or so ago but had never cooked out of. He surprised me and said yes, even after I told him it was all non-dairy, vegetarian fare. Will I give up on the cookbook already?? No, definitely not (although I’m sure I know someone who hopes I do ;)). I’ll try another recipe but this time will perhaps try something with fish (the only “meat” allowed in the cookbook.) My husband will definitely be more receptive to it that way. Anybody else out there want to share your healthy, whole food meals that maybe my husband would appreciate more? I’d love to hear your comments as always! Taking Charge of Your Fertility is definitely a must read for every woman! It doesn’t matter what life stage you are in, it has information you should know if you don’t already. I’ll go as far as to say that it should be required reading in school…yeah, really! It could even make you more knowledgeable, in some aspects, than your OB-GYN, promise! There’s no reason the way the female body works should be shrouded in mystery. Reading this book will empower you and dispel a lot of the myths and misinformation that is out there about the female reproductive system. The reason I personally purchased and read the book was for the portion of the book that discusses the fertility awareness method (FAM) of contraception. It is a completely natural way to avoid or achieve pregnancy. I should say that this is definitely NOT the rhythm method and is a reliable method of contraception. I’m proof of that, as well as a lot of other women out there. :) There are sample charts and even an illustrated portion in the middle of the book that were very helpful. I also thought the appendices in the back were great for answering specific questions, as was the glossary if you are new to natural family planning. I found the book easy to read and understand but, if you have questions after reading it, there is a whole website and forums dedicated to the book. I highly recommend it!